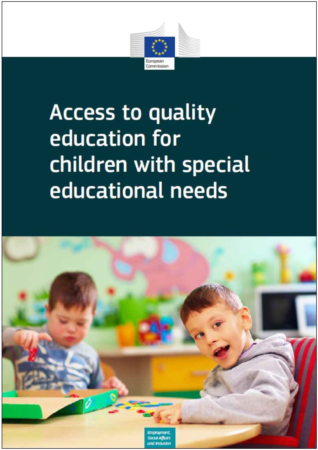 The European Commission’s Directorate General for Employment, Social Affairs and Inclusion (DG EMPL) has published an overview on the main issues for accessing quality education for children with special education needs (SEN). It highlights that while options for schooling differ widely across Member States, access to quality schooling for children with SEN remains a central concern for many parents. In fact, children with SEN are less likely to obtain high-level academic education, making it more difficult for them to access the labour market. The report summarises policy and practice of ensuring quality education for children with SEN and provides key approaches of practices from Member States. Models of inclusive education for children with SEN differ greatly between Member States. As such, the European Commission suggests on its publication that collaboration and the sharing of best practices between nations would be valuable.